Simple things are often the hardest because there is no room for error, and that’s the case here. 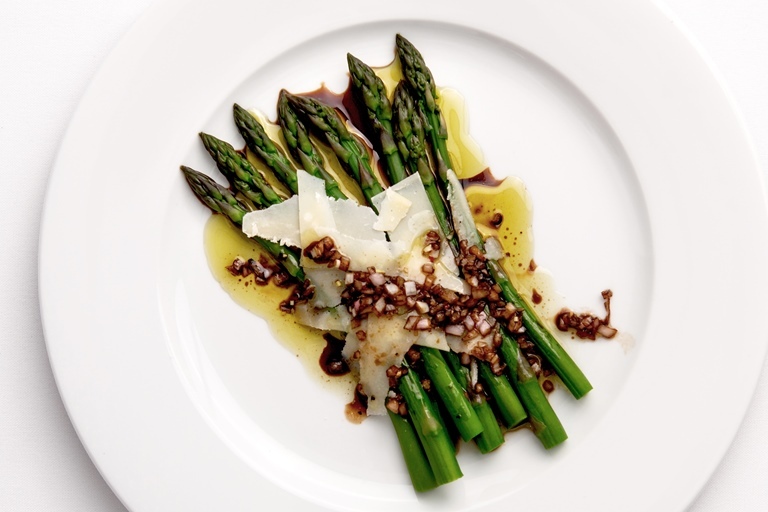 Your asparagus should ideally be very fresh, which is why local, seasonal asparagus is essential for this asparagus starter from Bryan Webb. If you are preparing this dish for a vegetarian, replace the Parmesan with a different hard cheese that is free of animal rennet.